Rooted in a strong friendship among new classmates at Hampton University (an HBCU), a group of ambitious young men formed a close lifelong bond of brotherhood. In the Fall of 2009, the group lost a member of that brotherhood; Randy Dwight Walker II. Soon following the group lost another brother in the Spring of 2011, Alexandre Kevin Williams. Additionally, in the Spring of 2018, Evan Christopher Wilson joined the group’s list of angels. 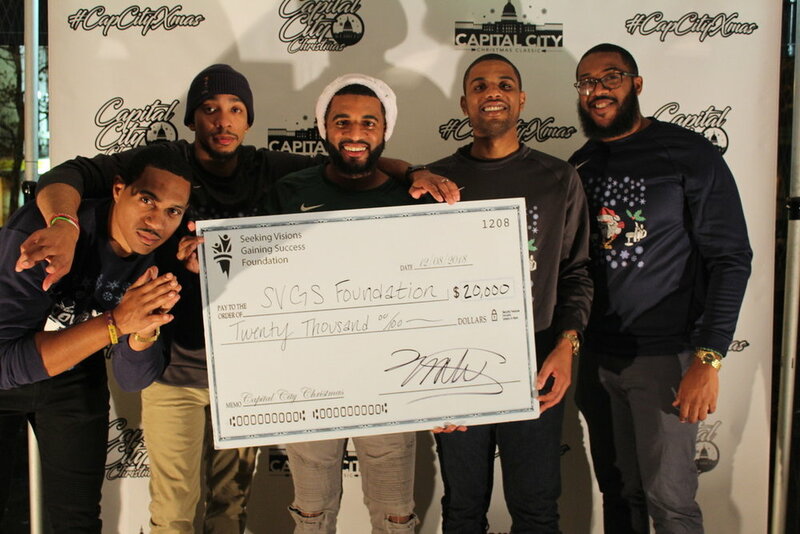 Although the SVGS Foundation was established in 2018, the group has documented fundraising efforts dating back to 2015. Their primary mission over the past several years has been to cultivate and empower those in their community by providing monetary donations to partnered organizations like the Toys for Tots Foundation, and the HBCU Foundation through community fundraising activities. The purpose of this organization is to continue the philanthropic legacy of these bright young individuals by providing scholarships and quality community fundraising activities that brightens the future of generations beyond them.